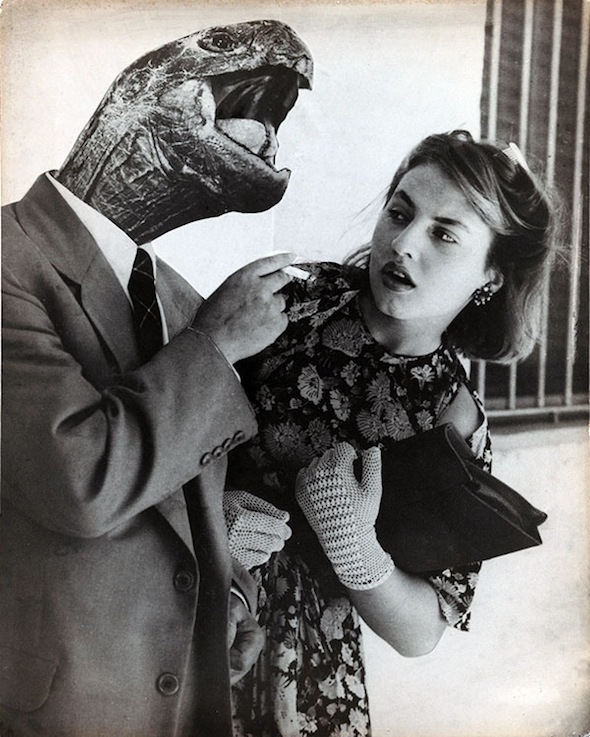 Grete Stern was born in Germany to a Jewish family, and in 1923 studied graphic arts in Stuttgart. She then studied photography with Walter Peterhans, and later with the Bauhaus. In 1929 she set up a graphic design and photography studio in Berlin with her friend Ellen Auerbach, which they named ringl+pit, their childhood nicknames. In 1935 she married an Argentine photographer, Horacio Coppola and moved to Buenos Aires. Shortly after arriving there, they mounted a joint exhibition that is considered to be the first exhibition of modern photography in Argentina. Stern went on to take portraits of the city’s cultural figures, including writer Jorge Luis Borges and poet-politician Pablo Neruda. Following on from her divorce in 1943, she moved to a house in the provincial town of Ramos Mejía.This place became important as a context for other artists, to gather, to discuss, to make work and to exhibit. In the late 1940’s she was hired by a women’s magazine called Idilio to illustrate the dreams that readers of the magazine (mostly Argentine housewives) submitted. She made 143 photomontages, called Suenos (dreams), that follow on from the work of Hannah Hoch, and brings together the look of dada collage and surrealist photomontage. This series within the magazine was called “Psychoanalysis Will Help You“. Stern had less than a week to make each collage; sociologist and psychoanalyst Gani Germani would then refer directly to each work when analysing the dreams in the magazine.Many of these dream images show men as menacing, and women as commodified or trapped objects. In 1956, she was invited to run the photography workshop of the Museo Nacional de Bellas Artes, a position she held until 1970. In 1958 she adopted the Argentine nationality and in 1964 she was awarded a National Arts Fund scholarship to document the remaining indigenous peoples of Argentina, the Chaco Indians. She produced more than eight hundred photos portraying their lives, their art and their activities, and it remains the most important photo archive on this subject in Argentina. Grete has influenced new generations (of photographers) in two ways. On one hand, with the importance she gives to form. Her photography is not improvised but well thought out. And second by her attitude to life. She is a woman who has been devoted to her vocation, during good times and bad, and young people admire that” (Sara Facio, 1992). In her photomontages for Idilio she portrays women’s oppression and submission in Argentine society with wit and humour, and are powerful images that look very contemporary. Way back in 1929, she opened a photography and advertising design studio with another woman, Ellen Auerbach, where they experimented with text and image, again testing the perception of what women did and what women looked like. She is a pioneer in many ways, and was unknown to me until now.